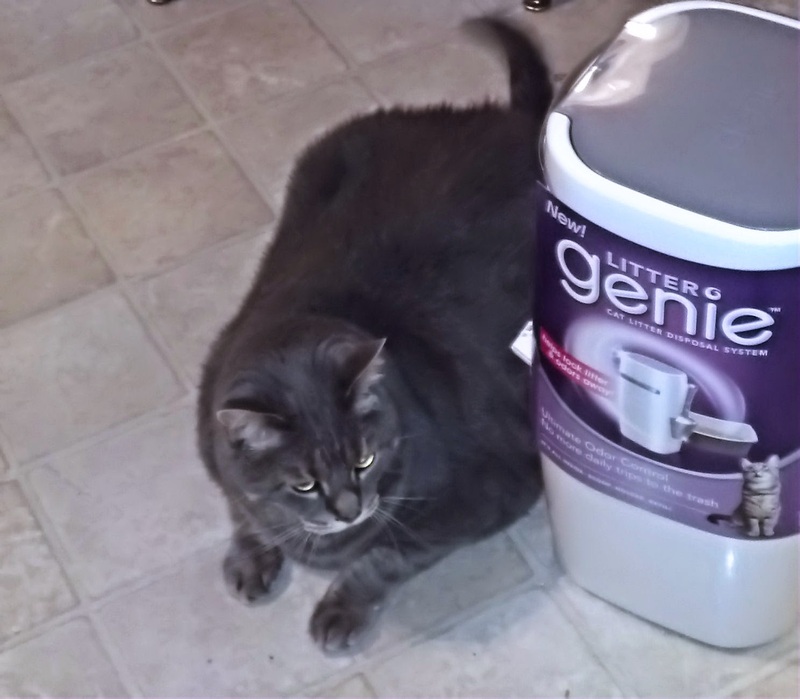 It's This or Murder...: Litter Genie: THE Weapon Against Kitty Stink! Because Crowdtap was awesome to me, I finally got my hands on an item I've been eyeing for some time. No, not the kitty! That's my baby Cloak. 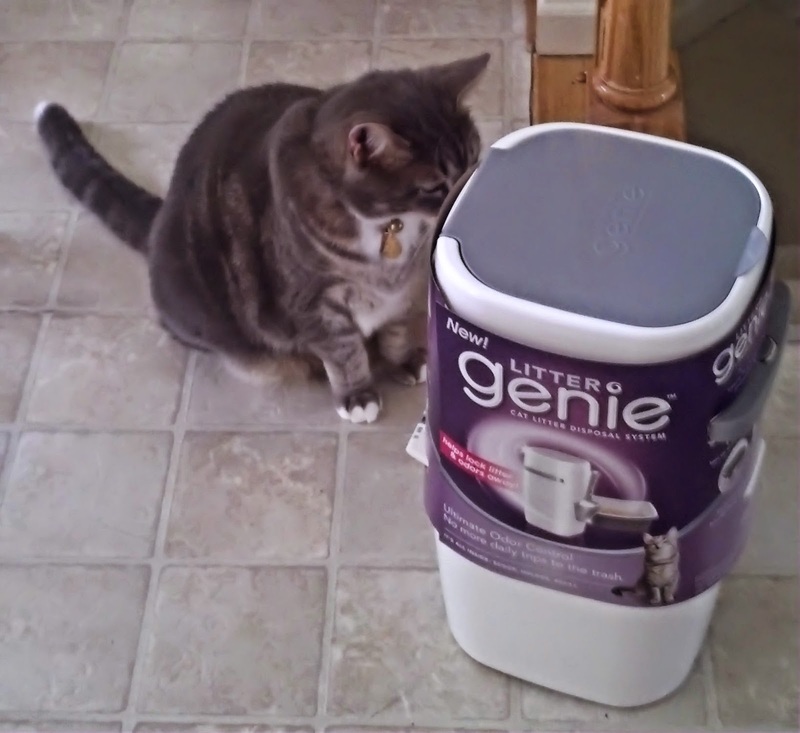 The Litter Genie is the star in this case. I've seen it in the stores, and wondering if it could work as well as it said. Pretty simple operation. Flip the lid, toss in the kitty yuck, pull the handle, and everything gets locked away. No muss, no fuss, no nasty pee and poop smell making people question your housekeeping abilities. I can testify that it works, because I have two neutered boy cats. They pee CONSTANTLY. The Litter Genie kept up, saving me a run to the garage to toss each day's leavings. Any time saved is a boon to me, for sure. My other baby Dagger approves this message. I received a free product from Crowdtap for testing and review purposes. My opinions are my own.